A series collections of minerals, rocks, zoological finds, fossils, herbs, important naturalistic models and collections of crafts and industrial products. An itenary that boasts over 47,000 samples. The Cabinet of Natural History, born as an appendage to the Technology Museum, includes collections that over time grow in complexity, variety and value, including naturalistic and zoological, botanical, mineralogical, paleontological and commodity models, from illustrious names of Producers, preparators, naturalists and collectors who are historically and scientifically relevant. 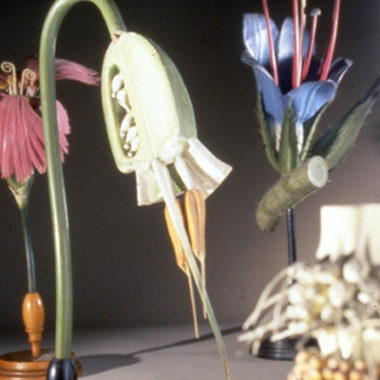 The Natural History Collections originated from a documentary and educational point of view, with the specific aim of shedding light on the applicative aspects connected with them. The extensive and varied collections that were formed during the 19th century and conserved by the Institute, today represent a unique and precious patrimony in the field of the history of science . A vast patrimony made up of rich and varied collections, for a total of more than 47,000 findings, is conserved in the Cabinet of Natural History.